abby diamond is a college senior from pennsylvania. 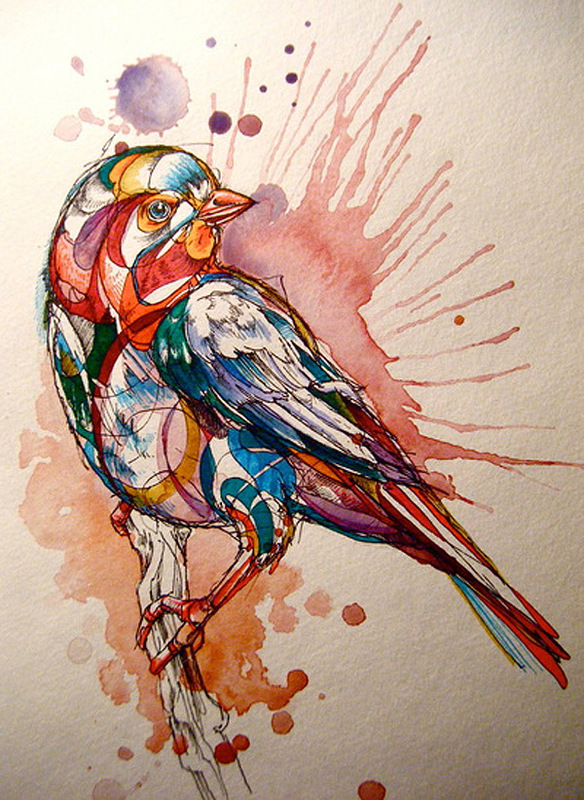 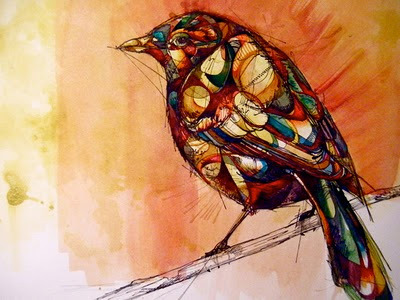 her illustrations are quite beautiful, but these bird pieces stood out to me due to their bold color, along with the linework and expressive and gestural use of watercolor. 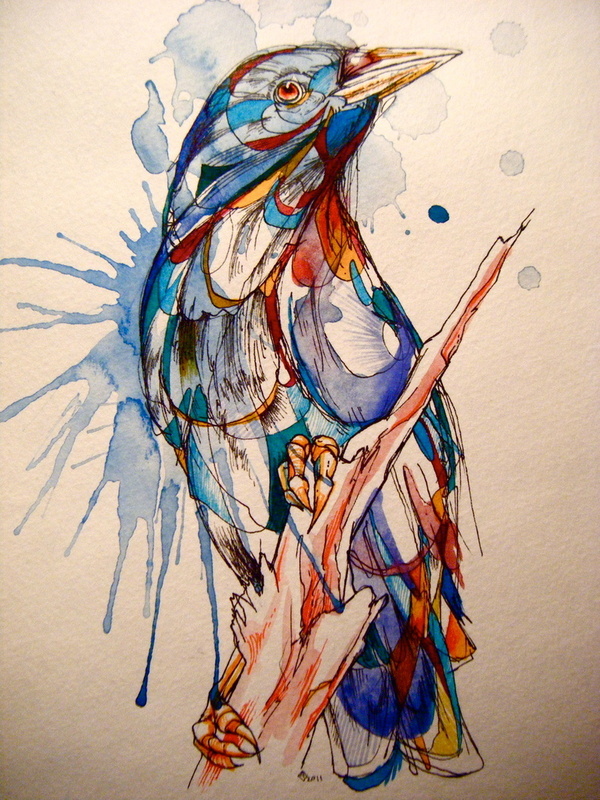 you can see more of her work at her website.